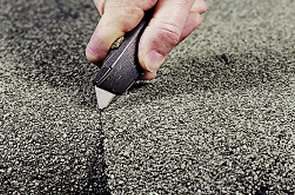 Asbestos roofing felt was often used for garage roofs, outbuildings etc. Work on any type of asbestos can be dangerous. However, tasks on these particular materials can be carried out by non-licensed workers who are appropriately trained. 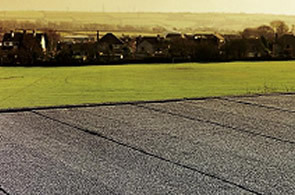 Work on roofing felt would not normally be notifiable provided that the material is in good condition. If the work is likely to cause significant break up and deterioration of the material then notification may be required. Asbestos essentials includes a number of task sheets which will show you how to safely carry out non-licensed work on these materials.